SOCS calendar is the beating heart of the school and the place where everyone can find out what's on, where and when. 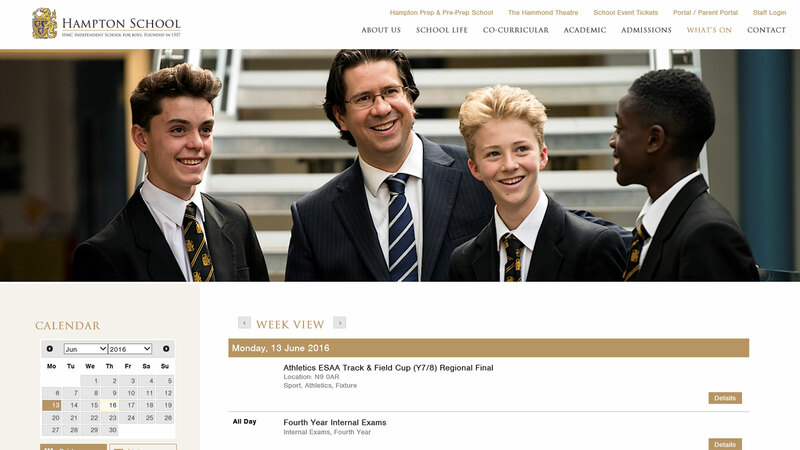 SOCS calendar comes complete with a calendar website and domain name, which can be used stand alone or linked directly into a school's main website. The SOCS calendar website can also be customized to align with the style and branding of a school's main website and several calendar views are available. 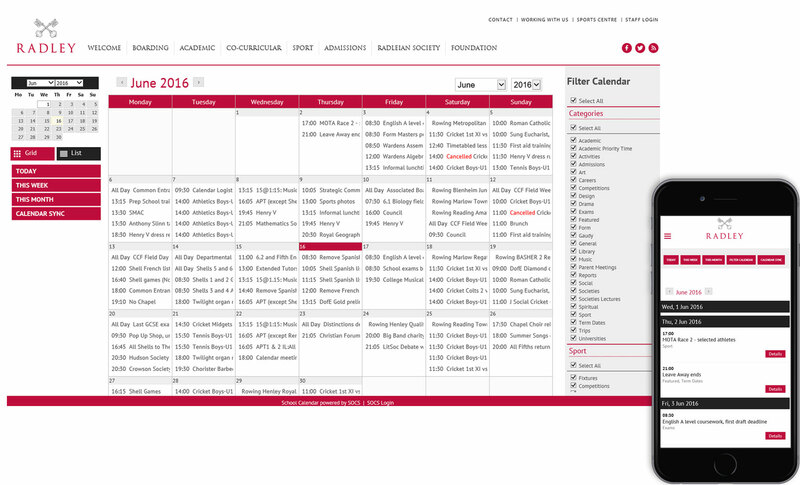 The SOCS calendar offers total integration with the SOCS sport and Co-Curricular modules. This means as soon as events are added into the SOCS sport or co-curricular modules they appear on the SOCS calendar. No more dual entry! The SOCS calendar can be exported in a variety of different formats making integration with others systems simple and the production of printed school calendars a breeze. Calendar Mobile web app for IOS, Android, Windows, Blackberry and more. Calendar authorisation and publishing system. Filter events and sync to your choice of filter. Integrates into your pre-existing School Website or App.